Franz Giegling’s editorial work on the concertos in the New Mozart Edition is the definitive scholarly-critical publication and is based naturally on every known source. The Bärenreiter piano reductions [BA 5311a, BA 5312a, BA 5313a] all have keyboard parts that are idiomatic and uncluttered. They are conceived for performances with keyboard as well as for rehearsal purposes for renditions with orchestra. The publications reflect the needs of performers today. 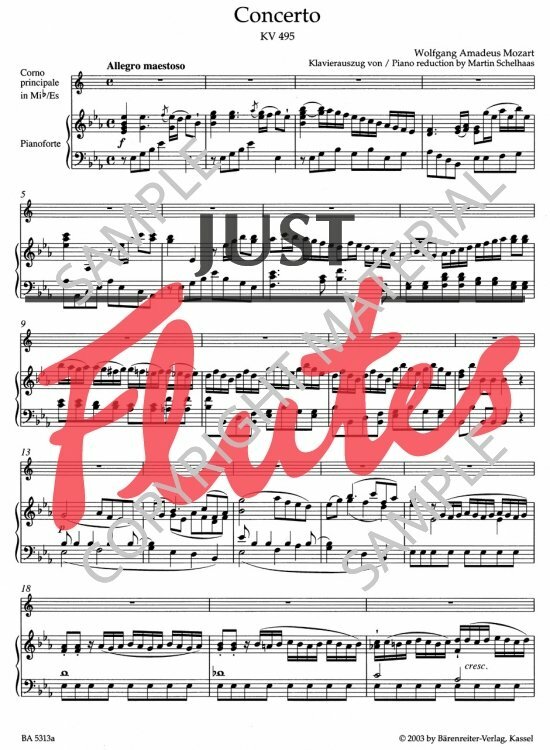 They contain clearly laid out solo horn parts in E-flat and F, a detailed historical preface commenting on the sources and a special brochure containing cadenzas and “ Eingänge ”. The cadenza and “ Eingänge ” brochure offers for the first time in print the important cadenzas by Dennis Brain, Timothy Brown and Dominic Nunns . 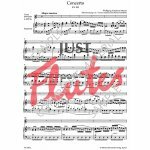 The cadenzas are presented in E-flat and then in a slightly altered version for the natural horn. All of the material has also been transposed and presented for the valve horn. 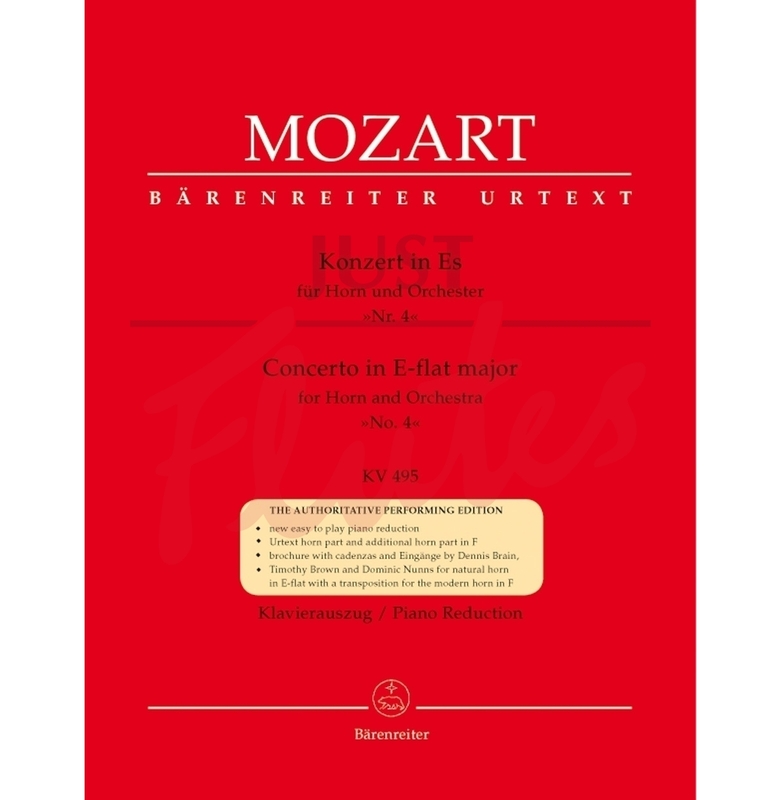 As always, Bärenreiter performing editions of the flute and horn concertos are available in full scores, orchestral parts, study scores and of course piano reductions.